If you could design a toy-hauler from the ground up, what features would it have? Would you start with a functional garage space that can help you get your motorized toys from point A to point B? Would you make sure the hauler had a weatherproof exterior and the largest in-class generator available? If so, the Spartan Toy Hauler was made for you. For those more interested in comfort and making sure that the interior has all the residential features you need to stay comfortable while you're in the great outdoors, there's good news - the Spartan was built for you, too. 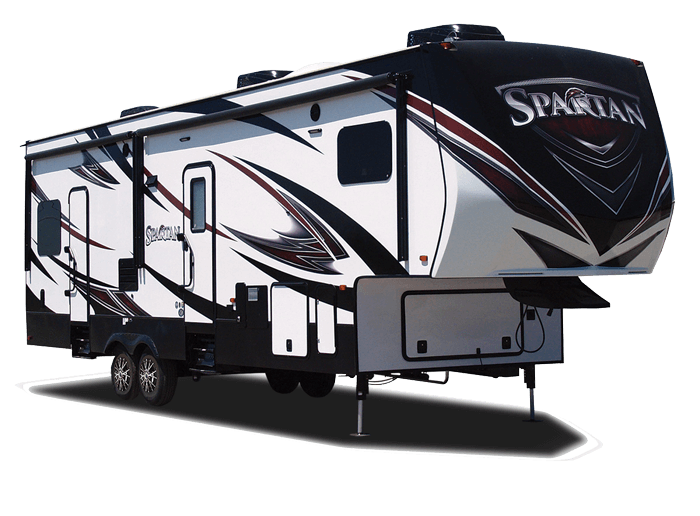 If you're looking for a hauler that combines the real-world necessities of life on the road with the comfort of traveling in style, you're looking for a Spartan Toy Hauler.